Glen’s research seeks to understand the factors that impact and determine capital allocation decisions in modern economies by identifying common environmental risk factors. He is especially interested in the impact that new policies and incentives have on the environment in the field of sustainable finance. He began his PhD in 2018. 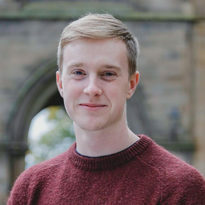 Glen holds an MA (Hons) degree in Economics & Geography (First Class) from the University of Glasgow with a year abroad at the University of Helsinki where he was awarded the Economics Dissertation Prize for work on environmental risk and asset pricing. He also holds a MSc degree in Environmental Economics & Climate Change from LSE. Glen works as a part-time research assistant for the Transition Pathway Initiative and Carbon Cap LLC and is supported by the Economic & Social Research Council on the 1+3 doctoral training programme.